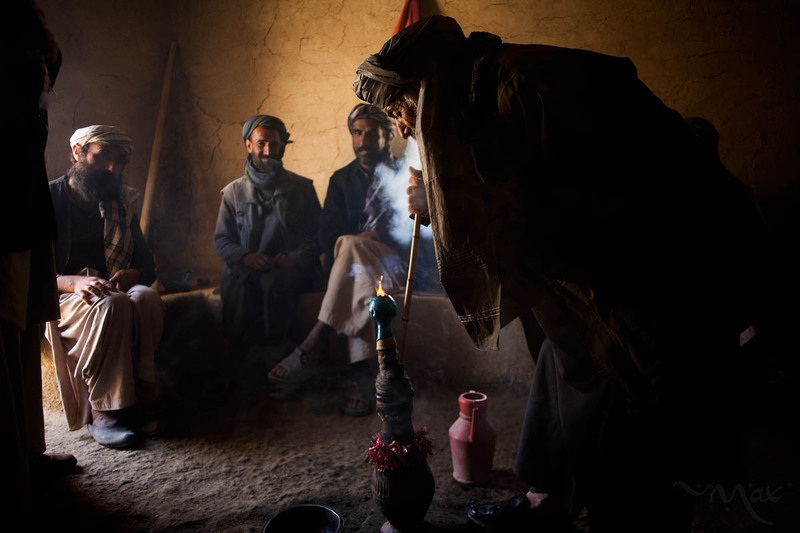 Afghan men gather at a small room in the ruins of ancient Bactra, thought to be inhabited as early as 500 B.C. to smoke hash from a water pipe. The region has successfully been pacified from growing poppy due to a directive by the governor but is known as a hub of hemp growing.